Order by noon, Tuesday, September 22nd, delivering Monday, September 28th. 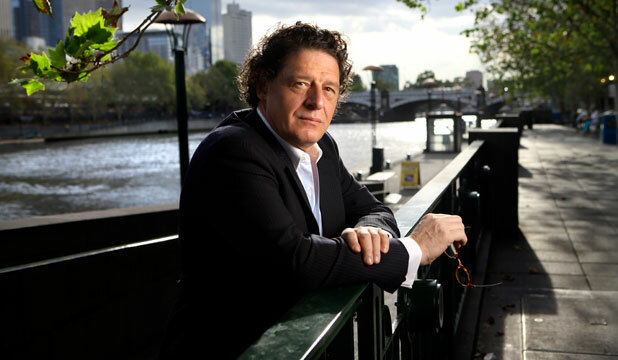 Legend has it that infamous chef Marco Pierre White, while already a michelin starred chef, once left his restaurant and went to work as an apprentice under another chef. He felt that he had strayed too far from the basics. Even though he’s retired from professional cooking, these days, he lists “go back to basics” as one of his top 6 cooking tips. In an interview with Mary-Jane Daffy, he recommends that we “forget the kitchen trickery and put your energies into the cooking of a dish. Teach yourself how to roast the perfect chicken and cook the perfect steak before attempting fancy cookery.” We couldn’t agree more. This box is all about returning to those basics of cooking that we sometimes neglect in pursuit of a more instagram worthy dish: aioli, roast chicken, meatloaf, rice, and minestrone soup. Vegetarian 5-meal Real Food Boxes include ingredients for the Forbidden Rice Salad with Roasted Squash & Grapes and the Minestrone Soup, and the ingredients for 2-3 more meals of your own invention, plus additional staples and fruit. Omnivore 2-meal Real Food Boxes include ingredients for the Grilled Little Gems “Wedge” Salad and Forbidden Rice Salad with Roasted Squash & Grapes. Vegetarian 2-meal Real Food Boxes include ingredients for the Forbidden Rice Salad with Roasted Squash & Grapes and the Minestrone Soup.